Raahgiri Day's 1st anniversary celebrations are on...!!! Here is the activity schedule for the 2nd edition of celebrations tomorrow. 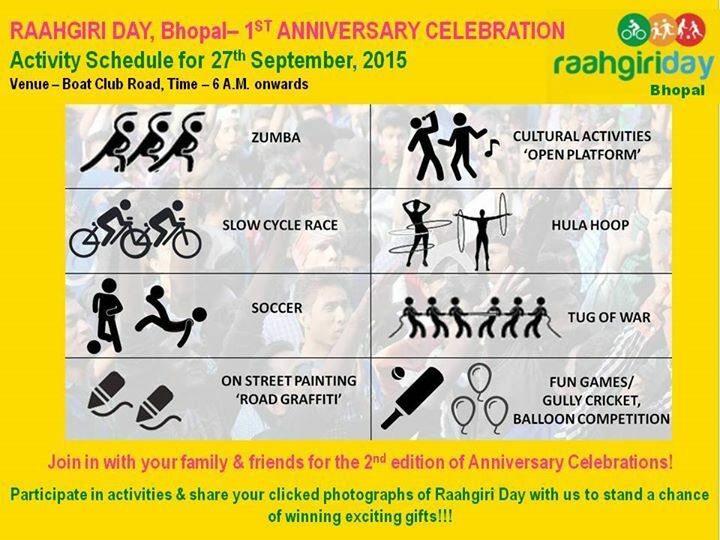 Come and participate in large numbers and contribute to safer, happier and healthier Bhopal..!!! Join in and win exciting gifts...!! !